The demise of independent bookstores has been predicted many times. 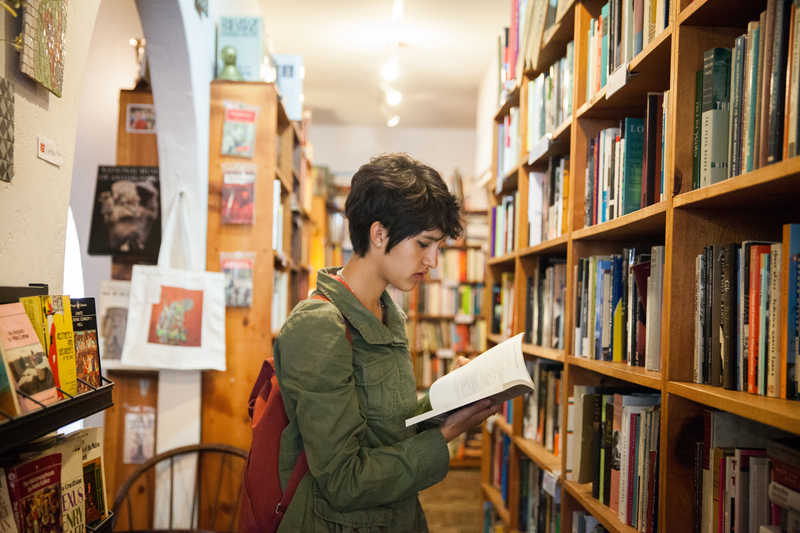 They not only survived, they are regaining ground: The number of independent bookstores in the U.S. has been steadily growing since 2012, along with book sales, according to the American Booksellers Association. In San Francisco, what’s keeping the local bookstores open is an intangible draw competitors like Amazon can’t offer. They may struggle to make a profit, but they excel at their other mission: building community. Bookstores get creative to make ends meet. Through membership drives, fundraisers, donations, events, concerts and renting extra space to local artists, bookstores manage to make enough money to pay their employees and their rent. After being forced out of their longtime location on 16th and Guerrero streets three years ago when the owner opted to rent to a high-end men’s shop, Adobe Books seemed doomed. “A bunch of people came together to form a co-op and save Adobe Books,” Shields said. They raised enough to secure a storefront on 24th Street, where they remain. During the past two years, business has increased, particularly in the last year. “We have been almost breaking even,” Shields said. Adobe Books deals primarily in used books and also rents space to an art gallery. 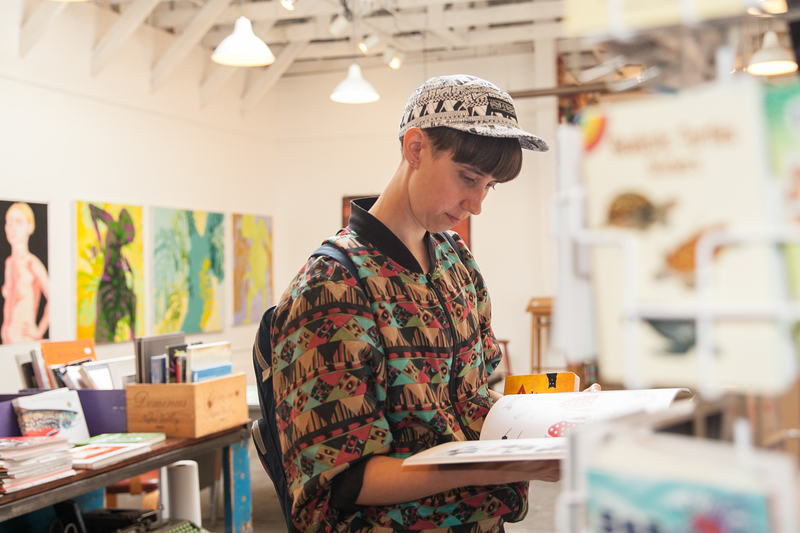 Artists sometimes donate money from their sales to the bookstore. Adobe also gets extra money from membership drives and fundraisers. While e-books sales have plateaued and big chains like Borders and Barnes & Noble have gone under or shrunk considerably, Amazon continues to pose a very real threat to independents. But many customers have rejected the savings the online giant offers, choosing instead to “experience first-hand a deeper connection with authors, great writing, and their own community,” American Booksellers Association CEO Oren Teicher said in a statement. 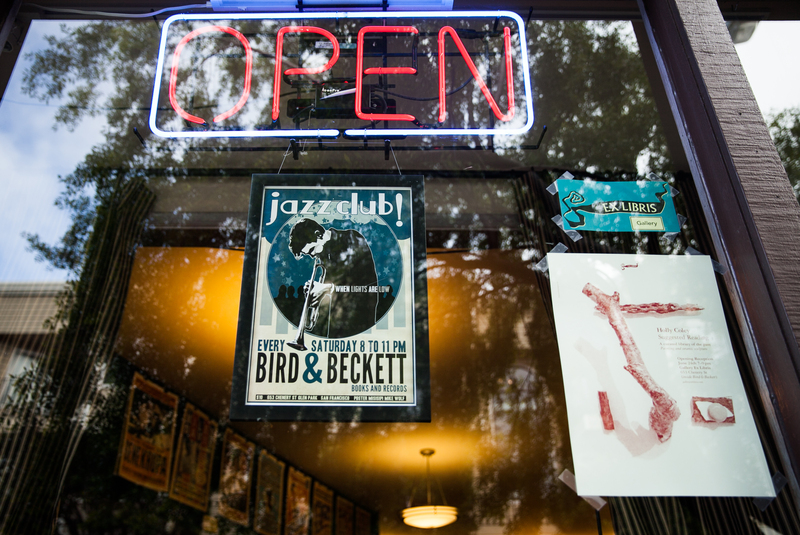 Serving Glen Park since 1999, Bird & Beckett is known for its jazz music scene. Local musicians play at the store every weekend while customers enjoy beer and wine offered by the bookstore. A donation is suggested but not required. Concerts and poetry readings helped make Bird & Beckett a treasured community center. “I relied on making the store really central to the neighborhood,” Whittington said. In the past year Whittington added even more events to his calendar, going from two to four events per week. Bird & Beckett also receives donations through a nonprofit founded to support the events. Whittington said that without donations and used books it would be impossible to make it, as the profit margin for new books is very slim. Even though business has been picking up for independent bookstores, “the scale is just nowhere near where it was in the ‘90s,” said Ashton Di Vito, book buyer at Modern Times, a collective-run bookstore founded in 1971. Modern Times gets donations through its nonprofit organization and rents some space in the back to a local mural artist to manage to keep its doors open. While readings, concerts and art exhibits don’t bring much money to the bookstores, they help them get rooted in their neighborhoods. “That is definitely a very important component of the resurgence of indie bookstores,” said Dan Cullen, American Booksellers Association’s senior strategy officer. Alley Cat, on 24th street, has events almost every day during the summer months, and new art exhibitions every two weeks. “It’s a community gathering space,” manager Jordan Gower said. There’s one thing bookstores fear more than Amazon—rent hikes. Many of them have had to relocate at least once, and given the red-hot real estate market, being forced out likely means closing their doors permanently. “All it takes is one rent increase and it’s over, as much as the neighborhood might love you,” Shields said. This entry was posted on July 28, 2015 by Bay News Rising and tagged adobe book, adobe books & arts cooperative, alley cat books, Amazon, American Bookseller Association, art, art gallery, Barnes & Noble, Bird & Beckett, book, books, books and records, Bookstores, borders, ekevara kitpowsong, Elisabetta Silvestro, exhibition, glenpark, Mission, neighborhood, San Francisco.